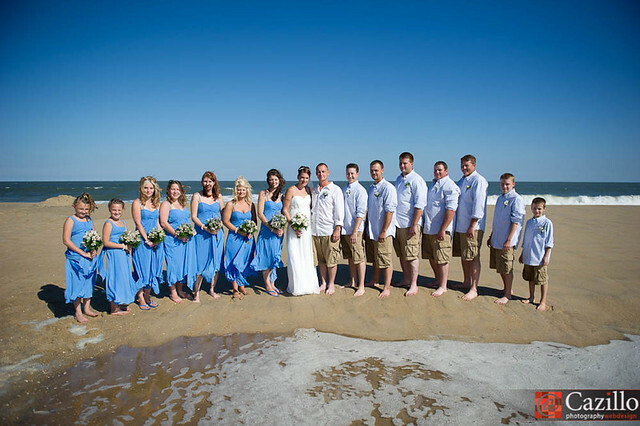 I created this beach wedding photo a few years back and had a few points I wanted to share with you. First is the posing, hand positions & bridesmaid's flower positions. Second is the shooting details, focus points and how everything is in focus even at f2.8. Check out the video and keep shooting! Great tips! I've got a beach wedding coming up at Folly Beach, SC on June 9th. Sure will help me. What say you regarding the Vivitar flash for Nikon? I need another one to go with my SB800s Would like to support you buy buying one. Thanks for sharing!! You can use the amazon.com search boxes on this page http://cazillo.com/support-us.html Thanks! On the group photo above? Nope...just good glass! Thanks Peggy! Good luck with your photography!